Revel is a business platform that is based within the cloud. Revel Systems Software has taken upon itself to integrate operations and customer channels with a point-of-sale (POS) approach. The functionality they have displayed is one that can work for a number of small businesses including restaurants, stores and businesses that deal with inventory management. The Revel POS system was created to run locally through your Apple iPad and it syncs all date into the cloud. The could integration of the Revel Systems program is extremely important because it makes sure that the Revel POS will run even if your internet connection experiences a slowdown or turns off entirely. Your information and work processes will still be saved and continue to be saved in the cloud whether you are working or not. This integration shows Revel’s ability to adapt to the modern era of doing business. One think that may not occur with the Revel POS when the cloud is down is payment authorization for credit cards, so this may be a hindrance; you can try, but it is risky. Revel Systems has an interesting history and its starting points are unique. The founders and current CEO and CTO of Revel Systems are Liza Falzone and Chris Ciabarra, respectively. The Apple iPad POS was the technology that gave Lisa Falzone and Chris Ciabarra the will power and initiative to start to build the technology that would soon be known as Revel Systems. Like many start-ups, Revel Systems began in San Francisco, or the Bay Area by testing their technology with businesses in the area. The test runs that they performed proved to be successful enough to gain the attention or early-stage venture capital funds, with specific centralized interest from a fund, DCM. DCM offered Revel Systems $3.7 million in Series A funding. When October of 2012 came around, Revel had already become a profitable business. The progress that Revel Systems has made since its inception with fundraising, improvement of technology and business growth has really been phenomenal and it is clear how much work they have put into the product they’ve built. Since its inception in 2011 and proof of profitability early on, Revel Systems has raised more financial capital including support from investors Welsh, Carson, Anderson and Stowe. After their first round of funding, Revel Systems did what a lot of start-ups do and went out into the public to get their second round of funding from larger financial capital groups and with this round, they received $100 million in Series C funding. Following this, in January 2012, Revel had become a much larger company and was announced to be the winner of the Best iPad Business App of the Year. This is a prestigious award and they received it at the Macworld/iWorld event. They even wone this over the Square mobile POS system. At the SFBT Tech Awards’ they won “Best Enterprise Technology. Business News Daily awarded them “Gold Award for Top iPad POS Systems” again in the past several years. The reputable awards Revel Systems has been awarded are a result of the hard work, passion and refusal to give up that Revel Systems has put into this project. Revel now has a large employee base thanks to its numerous rounds of funding and raising of well over $100 million in capital. The fact that they have been turning their investors capital around has also helped them to build their base, improve technology and furthermore improve their product and business. They now have over 700 employees and offices based all over the world including in London, Australia, Italy and Lithuania. They have over 25,000 terminals being used and a reputation as a reliable POS provider. They have many top clients all over the world including the mammoth cinnamon bun company Cinnabon, the smoothie giant Smoothie Kind and Goodwill. The large franchises in the food industry have helped to raise Revel Systems’ stakes to the next level and the fact that they jumped right in on the Apple POS system to launch their technology, seeing a niche in the market to build a state of the art system. Currently, Revel Systems is able to be integrated with QuickBooks and remote support is available along with the intelligent reporting suite. The software has taken it to the next level since its initial fundraising and now offers itself to many more types of businesses than just restaurants. Now smaller companies are taking a liking and affinity to Revel Systems as they learn what it is really capable of and how it can help their businesses to flourish. There are more fashion and retail stores eyeing Revel Systems and integrating it into their services to promote growth. Additionally the software is now used by numerous coffee shops, salons, food trucks and mobile businesses. It can work with just about any company within the sales space. 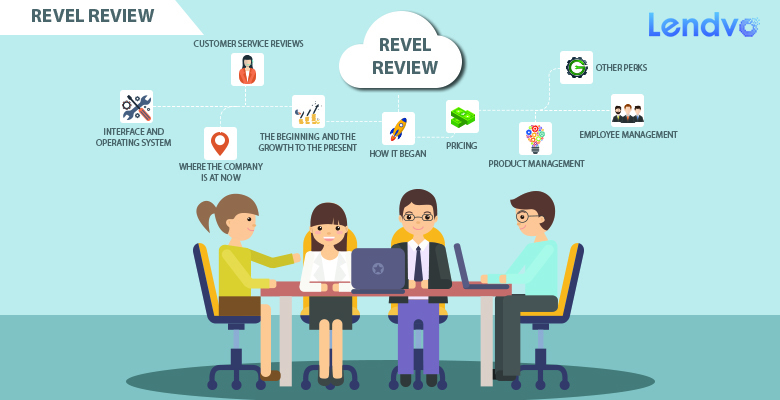 Companies with 2-10 employees running restaurants to other companies with 51-200 employees are giving four to five stars to Revel Systems for their Ease-of-use, functionality, quality, support and overall functionality of the product. Customers are also raving that they are happy about the onside support they are receiving from each and every one of the Client Support Managers they are getting in touch with when contacting Revel Systems to get help with the product and get tutorials off what they have on their website of how to use the product. Customers are saying that from start to finish, their experience with Revel Point of Sale Systems has helped them to gain contracts, and add new business. It is easy to use and great for training staff members, dealing with sales representatives; trainers and onsite support managers are only some of the items that people are raving about. People are saying that the ease of use they are experiencing with their product sales that is allowing them to report and determine profitability of product offerings is making it easy for them to use and master, especially since the customer service is available at all times and it is much more advanced than the pin pad technology which is saving customers money monthly. Everything that you can see on your computer or iPad is also visible on your phone so this has given business owners and employees the opportunity to few documents at the same time in addition to being able to work together on product cycles on and product management when they did not think that they would be able to in the first place. Revel systems has build a very unique operated system that works with all web browsers including Windows 8. User access is controled by each user with unique user identifications and swiper cards while Inventory management tools come with the product to be help in store and the e-commerce channels provide real-time inventory data. They have directed a large amount of their focus on CRM features which allow users to retrieve customer data and focus on the analysis of order history. By Revel System allowing for the analytics of order history to be available, it becomes easier for small business owners to be able to track and understand what products their customers are interacting with and furthermore how they can use this information to push and promote new and different products to customers with similar buying patterns to the ones purchasing what they are purchasing. Third-party partners including Apple Pay and QuickBooks have become essential third-parties within the integration of Revel Systems as they have become some of the main financial institutions to work with companies like Revel, Square etc. On the Interface you will find a main dashboard with an ID, Orders, Cancel, Send and Hold tabs to make payments. The interface is sleek and you can include images of the products you are selling. iPad POS screen, Ordering and Check out screens are all easily accessible and enjoyable to use. Revel Systems has different software packages that it offers for different sized businesses at specific monthly subscription fees. Initially, when Revel Systems was first introduced in 2011 they used an upfront cost fee for new customers, but as they have grown and assimilated into modern culture, they have been able to use a cost that is now built into their customers subscription fee. The pricing is depending on which industry your small business is in and how complicated the set-up is. Complication of the set-up is reliant on how many terminals you have. So, if you have a larger business, your setup will be more expensive. Say, if your company has 50 terminals in one state, you will pay a larger cost, than a business with 5 terminals in one state. Every subscription includes live support availalble all hours of the day and of the week, 24/7 and includes unlimited software updates as they come out, storage and security. The upfront costs are low for Revel as a Service, also known as RaaS. The monthly fee customers do pay includes the monthly hosting charges for the service and the replacement for malfunctioning hardware which comes at absolutely no additional cost to the Revel Systems small business customer. Revel Systems has continued with its main focus since its inception which is working with Apple and the iPad products. Revel works exclusively with Apple Ios devises including the iPad Air, iPad Air 2, iPad Mini 3, iPad mini 4 and the iPad Pro. The hardware deals offered by Revel Systems come with a barcore scanner. The hardware is purchasable elsewhere as Revel offers a hardware list for the items you need to be for the Revel systems hardware to work efficiently. The parts for the physical implementation of the Revel Systems hardware to be in place for the product to work include the iPad Stand which is a sleek product that holds the iPad up. There is also the Customer Display System, also known as a CD which is what the customer at a Revel Systems-supported business interacts with. Then there is the iPad POS system which is the interface that acts as a kios with images and price points in order for transactions to take place. The POS system allows for cashiers to interact with it and complete transactions by tapping on menu categories to then access dop-down menus of items and modifiers. The barcode numbers can also be entered directyl to the system so you can scan items. Service fees, surcharges, discounts and multiple tax rates and be arranged so they are automatically added or manually addeed whenever a sale takes place. You can edit items on the screen so customers can order things to go and come and pick them up at the store, order for delivery, order repeat items, removie items from an order and event enter discounts and special requiests while changing qualities. The POS has capabilities to print or reprint guest receipts, enter rewrads carrd numbers, allow for tips, split bills, email receipts, void payments and even edit items if the order are in progress so customers can add items for, say, a kitchen, to add to an already placed order. The Employee Management device allows for unique and secure PIN-activated logins and for employees to swipe cards so they and their employers can track their time, performance and entire employee activity within the employee shift schedule. You can also check a weekly schedule here for all employees at once, the total hours they worked, total wages and employee reports can be created based on how many voids, discousnts and sales they made in addition to the volume and productivity of their performance. Employee responsibilities can now be categorized within access parameters. There are specific accessible keys for breaks, paid breaks, unpaid breaks and labor costs, labor cost goals while total hours and total wages are available in addition to information about the Establishment and Reservations under separate tabs under the Employee Dashboard. Some other things that Revel offers are the Intelligent Reporting Suite which includes the generation of dozens of reports which are available including transaction details, sales summaries, ingredients sold by the customer, PLU reports, available and used gift cards, tottal amount of voids, total credit transactionds, employee check out reports, percentage of labor against sales. This is included through real-time tracking which offers instant visibility to sales, staff and location data. All of this data can be exported from CSV to PDF as needed by the client to Revel Systems. The servers used by Revel Systems are state of the art allowing for multi-store functionality and the ability to handle a single store or a chain of stores. The hardware and software they use are network and PCI-DSS compliant. The credit card information is built into the Revel Systems products but never stores. Revel operates through an open API system that deals with numerous third party integrations. The API system deals with state-of-the-art integrations which can be found in the Revel marketplace including the Digital Menu Board, Kitchen Display System, Customer Facing Display, Kiosk POS and more. The servers are part of Revel’s hardware, software and network and they are specifically PCI compliant and SAS 70 Type II certified. This means there is really no concern to be had whether you are operating a single location business or a business that is multiple locations. The loyalty program within the Revel POS hardware is a system that requiers no cards and it is a loyalty program they are spending a lot of time trying to expand in the near future as Revel continues to expand and grow. The eCommerce/Online/Mobile Ordering platform Revel’s POS exists on includes Shopify, Kosmos Central, Open Dining, Zuppler and Chowly. Their employee management parties work with Deputy, DTT and Homebase. The Mobile Payment Processors and Forms of Payment that are accepted by Revel POS are extensive and include Braintree, Zapper, PayPal, BitCoin, Apple Pay. Accounting programs that are integrated often into Revel are Xero which is not in the United States and QuickBooks Online which is commonly used here. The gateway payment processors and payment processors that work within the marketplace of the company website are USAePay and FreedomPay as well as NewTek. Other payment processors are Mercury Payment Systems, Moneris, Adyen, Tyroo, WorldPay, FirstData and more. Customer service is available in the sales department, technical support and for billing staff so the services they offer are extremely extensive. They are available by telephone and by email for support areound the clock 24/7 as well as through social media and their blog. Additionally they created something called Revel University which exists on their website and this offers a slew of training videos that have proven helpful for new and experienced users.